Here's a few tips some of you may want to prepare for so that you can begin shooting with your brand new BlackMagic Design Pocket Cinema Camera the day it arrives. #1 - Get a damn fast SDHC or SDXC card. None of the cards that work flawlessly on my Canon DSLRs were even detected. The few speedy cards I was able to grab from local retailers just ended up with dropped frames. We're just talking ProRes here, imagine when RAW is unlocked. Tomorrow I should receive a couple of Sandisk Extreme Pro cards (recommended in the user manual) for my weekend project. #2 - Keep in mind you cannot format SD cards from the camera itself. If you show up at a shoot with a full SD Card, there's no way to delete the files. Keep a laptop with SD card reader handy to format to exFAT and delete any old projects. Don't think you can just pop it into your other camera to delete. The HFS+ or exFAT file system isn't recognized in most other cameras. #4 - The battery drains very quickly on this pocket camera. 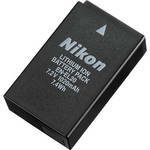 These batteries are the same for the Nikon J1, inexpensive, but you still need an optional charging station so you don't keep your camera tethered. The other option is an external 12V power source for very long projects where swapping batteries could be a problem. #5 - Even my small Panasonic 12-35mm F/2.8 or 35-100mm F/2.8 Micro Four Thirds lenses fit too snugly on the camera if I have my 501PL plate mounted underneath. 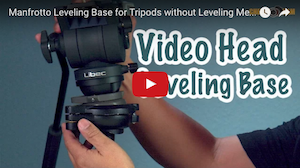 Lens adapters will be worse, so you'll need a platform, rig, cage, or something to raise the body up if you're planning to use popular Fluid Heads. I'm using the Fhugen GH3 cage right now since it's the smallest cage in my arsenal (no battery door access). #6 - Expect no audio meters from the camera itself. I think at this point the easiest method is to just work an external recorder. Finally just a quick note on using an HDMI recorder. I'm not sure if this will yield any difference in quality, but if there is no degradation, an HDMI recorder could be a cheaper solution for storage media, solves limitations on long projects, and is a fast way to hand off video files to your editor. 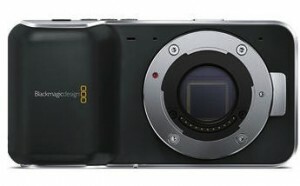 The Atomos Ninja 2, one of the affordable HDMI recorders on the market, is capable of recording from the BlackMagic Pocket Cinema Camera. You can record the stream without actually recording from the BMPC, or you can just hit record on both units for dual recording (a good backup solution for critical projects). 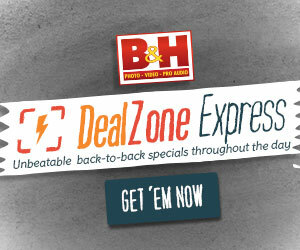 Posted in Black Magic BlackMagic, dslr video, Equipment Reviews. 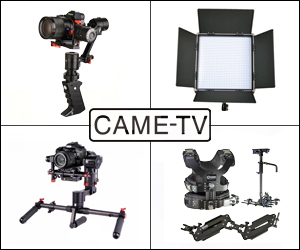 Tags: atomos Ninja, audio recorder, BlackMagic Pocket Cinema Camera, Cages, evf, hdmi, LCD monitor, lenses, Pocket Cinema SD Cards, ProRes RAW CinemaDNG, Rigs, SDHC SDXC on August 15, 2013 by Emm. @Radlux - That setup should work out. You mention in point 5 about the lens being too flush. Can I put the BMPCC + Metabones SB + Nikon 24-70 onto the Pr-1 rig and then onto the 501MVH fluid head? Or will I still have issues with space/alignment? Have you found an EVF that works. I get no picture from a 7" monitor and a 3 1/2" EVF I recently purchased. The EVF says the BMPCC is 1920X1200X30HZ. 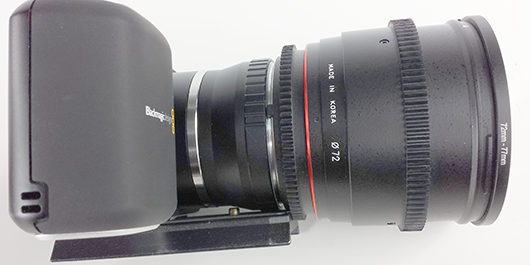 The BMPCC works with a 19" flat screen and a 42" with no problems. I am using a micro HDMI to HDMI D cable. What gives? Great article! Can anyone answer why I can't change the recording format on my BMPCC? All I get is ProRes. I know where to go to change it but it won't switch. @Ziggy - I have it inside the Fhugen GH3 Cage. It works to hold accessories, but you can't get to the battery door. What's the rig you've got the BPCC on? Thanks for everyone with your questions. I've been looking at this camera, but I guess I need more research in order to come to a decision if this is the camera for me. @Johnny - Yes i'm using 6 aftermarket batteries. Each pair came with a charger, so I can charge 3 batteries at the same time now. The original BMPC battery really sucked. I haven't run an actual test to compare the two, but they seem to be working fine. Just wondering, have you tried any generic EN-EL20 batteries with your Pocket Cinema Camera? Would love to know! Nice tips out there, got to learn more stuff for your blog. Thank you. Whew. Hats off to you early adopters, I'm going to sit back and watch all this unfold. @Emm - Thanks for the prompt response. I'm not finding the ProRes file size too much of an issue when compared to the hacked GH2 file. Obviously, the GH2 files need to be ingested then converted if using FC X. It's still early though as mentioned above I need to really conduct some side by side test. But there is of course a huge file size difference when compared to my D800. I really think the place to be is where I'm at since I have the ability to shoot 2.5k Raw for when certain jobs require the latitude. But the screen is completely worthless outdoors. This is one of the biggest of many disappointments. Is the Pocket Cinema Camera screen just as bad? Ah... balancing the frustrations vs. benefits. I will stay tuned in to your future blog updates. @SkyBoxHD - The Pocket Camera can benefit from some of the items you've listed, but I'll keep playing with it and see what else I come up with. I still think the ProRes file sizes are too much for many projects, and I don't see this Pocket Cinema Camera replacing the GH3 or Canon DSLRs. @Emm - I caved about a 1.5 months ago and cancelled my 2 pocket cams that were preordered. I sadly was anticipating another fulfillment debacle. Anyway, I just recently picked up a MFT Cinema Camera when the price dropped. I'm only 24 hours deep but I'm finding some interesting quirks. I know you are only a couple days deep with the Pocket Cam. However, do you find the form factor a huge benefit or do you feel it will still need to be fully rigged up? Meaning... short of using it for a B Cam you will need the same additional "add ons". Which of course doesn't make it so portable or small. My present add on's for the MFT Cinema Camera are below. I have a couple hacked GH2's and a bunch of Nikon and MFT lenses. 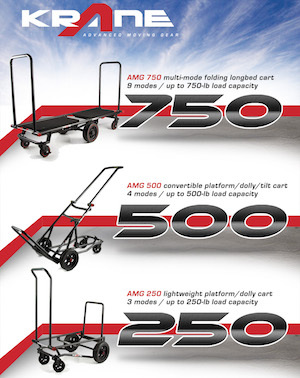 The new MFT speed booster will arrive on Monday. Honestly, the speed booster is more exciting than the BMCC at the moment. I did call BM the other day and they won't confirm if the rumored active MFT firmware update is on the road map or not for the Cinema Camera (they made it sound like it won't happen). So.. I think you can see my conundrum. I look forward to your upcoming reviews. Any feedback from your real world experience is helpful. I was going to ask the same question like Robert. Are there audio meters on Atomos Ninja? Can you monitor audio from the Blackmagic on the Atomos Ninja? 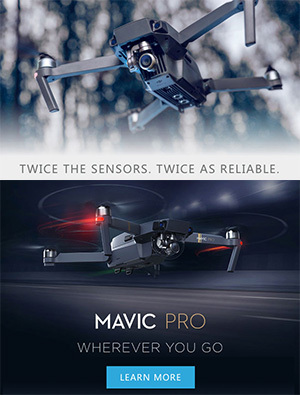 If so, that would be yet another great selling point for getting one. Thanks so much for the information. It's these small, seemingly minor issues that can really screw up a shoot (imagine not being able to mount your camear to a tripod because you forgot to bring a small spacer!). Building and clarifying on Jake's comment, keep in mind that Class 10 SD cards merely meet that rating at a read speed of 10 megabytes per second (the 10 in Class 10), or 80 megabits per second. That's far short of the ProRes HQ 422 spec for 1080p at 30fps, of 220 megabits per second -- WRITE speed at the lowest common denom. I'm a little annoyed by Blackmagic themselves (and anyone following their lead) nursing a SanDisk monopoly; ANY SD card that can write at 27.5 megabytes per second will work -- just not any old Transcend Class 10. @Duane - Shot the video on a GH3. The Transcend regular class 10 cards have a write speed between 10-16megabyte per second. For Transcend cards that write fast enough, you should look at the UHS-1 Ultimate cards. Their write speed is 40-45megabyte per second. Great 'first look' for those of us who are curious about this camera (aren't we all)? About point five (being too small for the 501pl plate), I'd like to suggest that a more correctly proportioned quick release system might be the simplest (and perhaps cheapest) solution. I haven't tested, but this Arca-Swiss style QR looks just the right size for the BMPCC, and certainly strong enough even with a bit of kit. You can attach it right on top of the 501PL plate and there's your clearance. I'd consider giving this type of system a try for the BMPCC and DSLR sized cameras in general. It's slightly less "quick" because the clamps have knobs to be turned instead of levers, but it's arguably a better standard than Manfrotto because it's both smaller and more solid (great for MFT). There's also a bunch of anti-twist plates available for most camera shapes, and it's more of an open standard with several manufacturers making compatible clamps and plates of varying quality and price points. I like my Manfrotto stuff but I'm seriously considering adding these sorts of small QRs to my every tripod, camera, rig, slider, audio recorder and random attachments just to be able to switch things around faster without adding too much bulk and weight. You shoot this on mkiii? 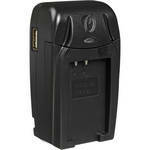 @Jake Bertz - Mostly Transcend Class 10 SDHC or SDXC cards. Flawless, never an issue, never lost a single photo. I throw them across several cameras from point and shoot to DSLR. They just aren't fast enough for the BMPC. 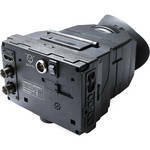 I went ahead and ordered the Extreme Pro anyways since I have two more Blackmagic Pocket Cinema cameras on the way. I know there won't be any issues there. Seems very short sighted to not being able to format on Camera. Can you check shot files? Thanks, very useful tips. Unfortunately this camera is looking more and more like it's NOT the one for me. I might go for the GX7 instead. The card thing seems... odd. According to Black Magic, the prores is recorded at 220megabit per second. That translates to 28 megabytes per second. Your standard Sandisk Extreme class 10 UHS-1 is supposed to write 45-60megabyte per second. What cards do you use on your Canon DSLR? 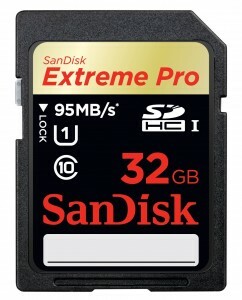 You need fast cards such as the Sandisk Extreme Pro for hacked GH2's as well. Since you now own at least one GH3, it would be cool to see you hack your GH2 and do a comparison with the new BMPCC. Just a thought. I am so happy your doing this check list.